Empowering Women in IT (eWIT) is a women's IT forum conceptualized by a group of IT Professionals in India. Considering the high growth of the IT industry in India , its vast global coverage and the huge employment potential that it offers, the need has been felt to create a separate platform that addresses women's issues in the IT industry. All women associated with the IT/ITES industry by education and/or profession anywhere in India or abroad are welcome to become members of eWIT. Furthermore, any person, provided he/she fulfils certain conditions, interested in the cause of women's issues in IT, can be associated with eWIT as a well wisher. Vision - To be the preferred forum for interchange of ideas and for pioneering initiatives so as to unleash the potential of women and drive their growth in the IT industry. eWIT provides networking opportunity among women IT ITES women professionals, learning opportunity, and opportunity to empower themselves. As more and more women are entering the IT industry in India, it is becoming increasingly important to have some focused forum that works towards empowerment of women in India. Women empowerment is important to the professional women in India. Women in Management, especially women in IT management can contribute to this forum by becoming an active member of the forum. Today's women entering into technology are tomorrow's women leaders. 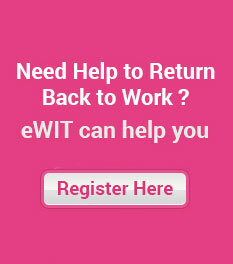 Women in IT and ITES stand to gain a lot be associating themselves with eWIT. This is the only IT Forum that exists in India that is exclusively working towards the welfare of women in the IT industry.